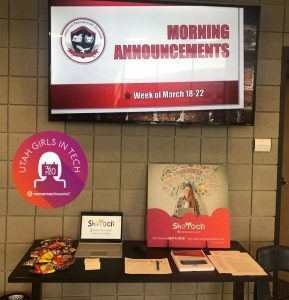 Just a few days ago, the Women’s Tech Council in Utah posted that it’s now official…… “March 20th is now Utah Girls in Tech Day. Utah Girls in Tech Day bill was approved by the state legislature and Governor Herbert to celebrate the strong efforts that are happening across the state to encourage more girls into tech and STEM fields. It is also a call to action for industry, community, educators, parents and students to engage, activate and inspire girls in their tech dreams. Special thanks to Senator Ann Millner for sponsoring this bill”… It’s exciting that APA D3 is part of this process! Want to learn moves to impress the ladies? Want to show off your dancing’ dexterity? Want to have fun, set to music? Then sign up for our Ballroom Blast Team Experience. We’ll shimmy our way through a variety of ballroom styles, we’ll jive our way through high-energy routines, and we’ll learn an awesome dance to perform at the Ballroom Company’s end-of-year concert. Important Note: All boys who register will receive a king-size candy bar the first day of class! The class will run for 8 weeks: Thursdays from 2:00-2:45 pm in the D3 Cafeteria, from Mar. 14th to May 9th (no class Apr. 4th) with performances on May 10th and 11th. 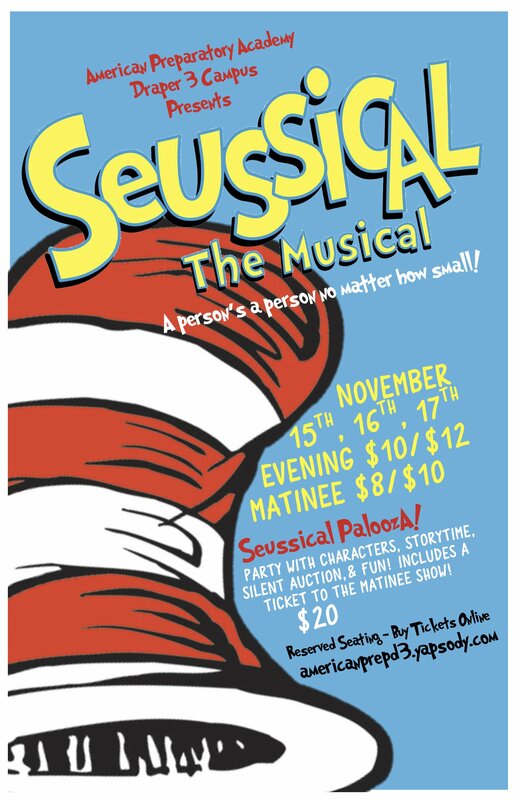 The $70 fee includes 8 lessons and your costume rental for the shows. For more details, see the flyer below, or pick one up from the office. The instructor, Joy Price, has 14+ years of coaching experience working at a competitive dance studio and as a faculty member at BYU-Idaho. She is also an accomplished performer with titles from a wide variety of national/international competitions and has been a featured artist at Walt Disney World. The 2019 Winterim Course Catalog is now available to view. Please click the image or link below to access the catalog. American Preparatory Academy is excited to introduce the Winterim program for the 2018-2019 school year. The Winterim term runs from January 3rd through January 18th during normal school hours. The day will be divided into three periods and a lunch plus a core class period for each student to keep up with their regular studies. 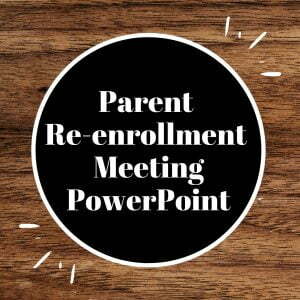 Students will have the opportunity to choose two or three courses from the Winterim catalog depending on their grades and attendance at the end of term 1. Students with an AP class will continue their AP classes through Winterim. These courses are designed to take students deeper into subject areas than they may cover during the normal scope of a course and to explore areas that are not covered in our daily curriculum. 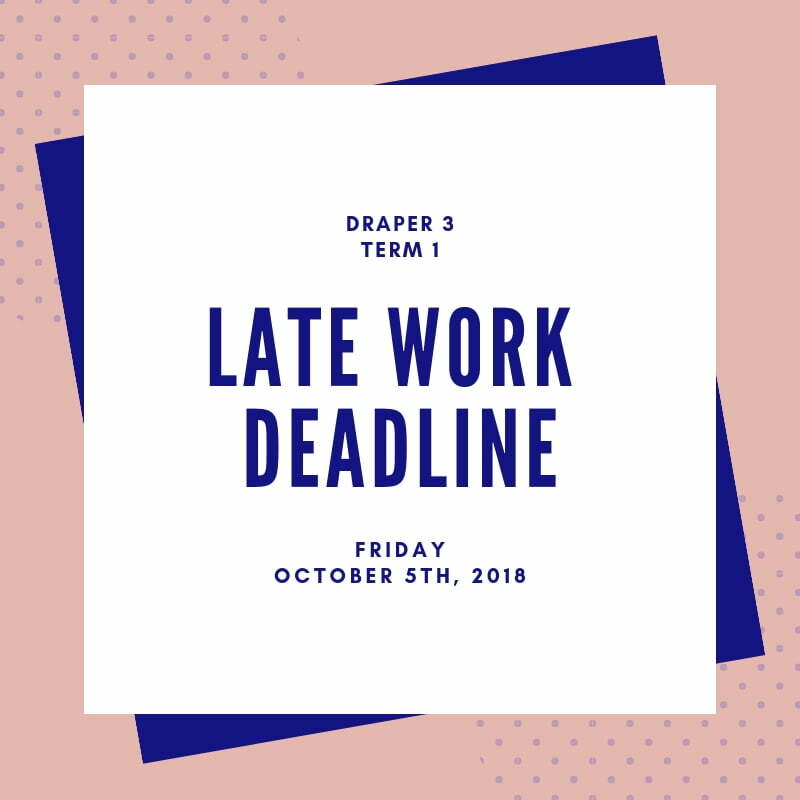 By the end of each 12-day course, students will have completed the equivalent of a quarter’s worth of curriculum and have a completed culminating project they can add to their resume or portfolio. 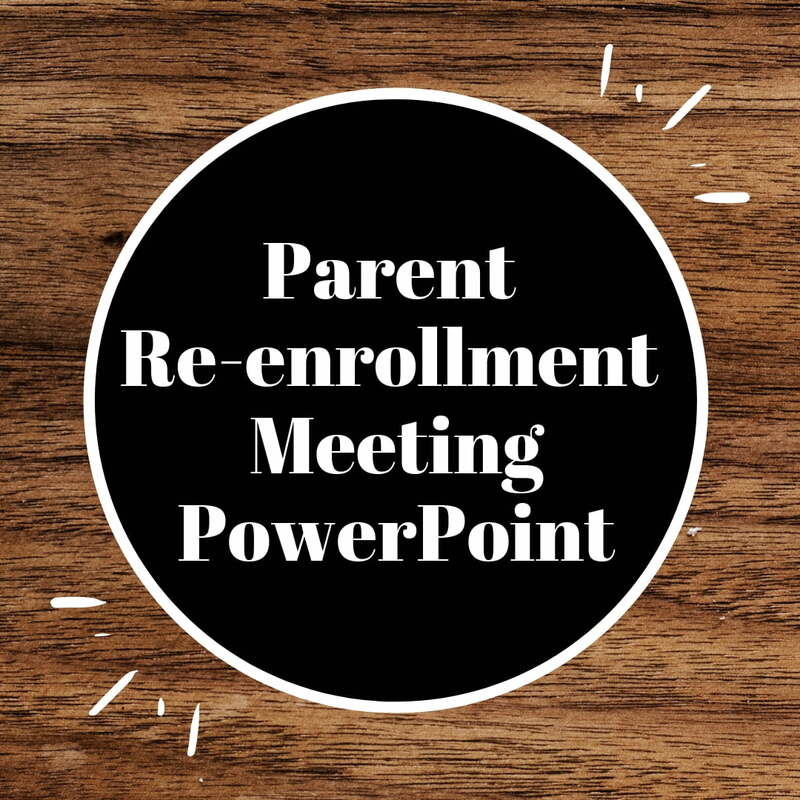 In addition to the skills and knowledge gained, 9th-12th grade students will have the opportunity to receive .50 credits of elective credit towards their high school graduation. 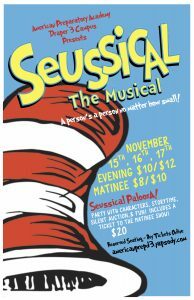 This fantastical family musical is based on the books of Dr. Seuss, including favorites like “Horton Hears a Who!”, “Horton Hatches the Egg,” and “Miss Gertrude McFuzz.” Don’t miss out on this amazing performance put on by Draper American Preparatory Academy. Click here to see showtimes and purchase tickets. 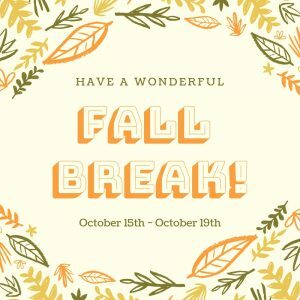 Fall Break goes from October 15th – October 19th. 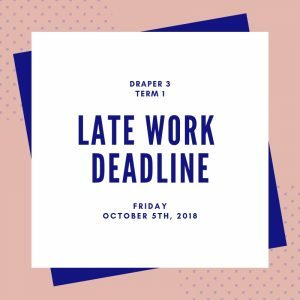 When we return to school on October 22nd, Term 2 will begin. 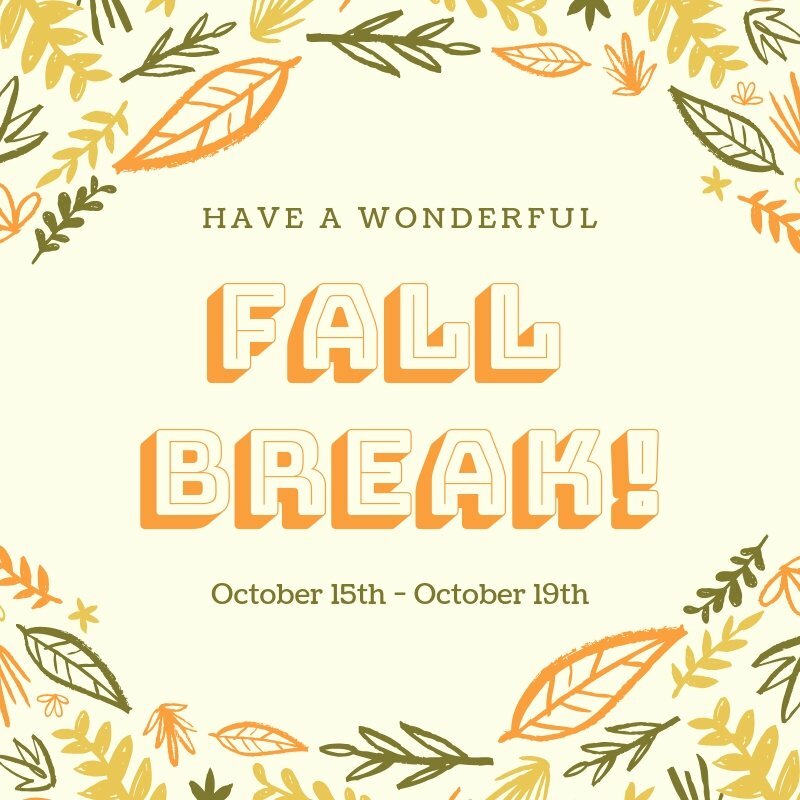 We hope you have a fantastic Fall Break!